Description: Stock Photo of the Shore Line in Gold Beach, Oregon. This photo was shot from Cape Sebastian looking north. 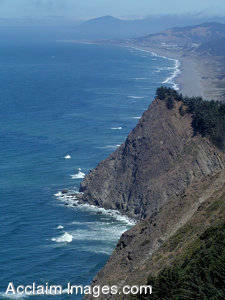 A beautiful view of the rugged Oregon Coast located on the Oregon coast at Gold Beach.